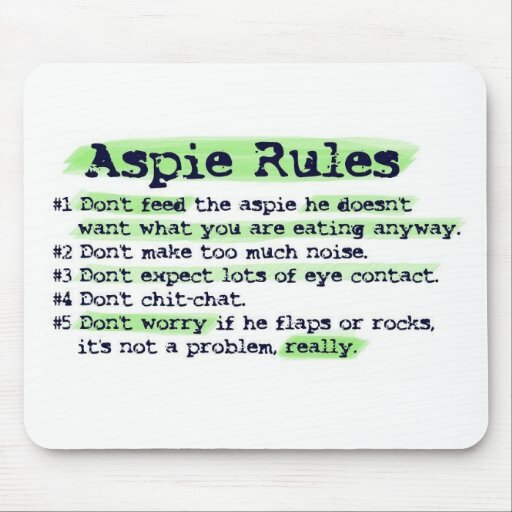 With the high rate of co-morbid conditions that accompany Asperger’s syndrome, and their secondary effects, skin problems, digestion issues, joint problems and any of the complications associated with anxiety disorders, it can be a chore to make sure your Aspie is taken care of, medically speaking. 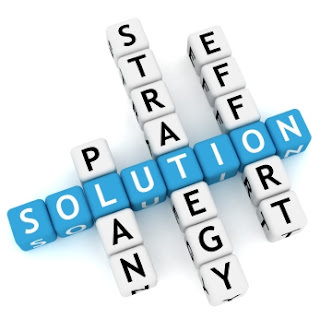 Which brings us to another issue – getting your Aspie in to treatment of any kind. As you have probably learned by now, your Aspie is resistant to seeing the doctor. Let’s take a look at some of the main reasons for this. 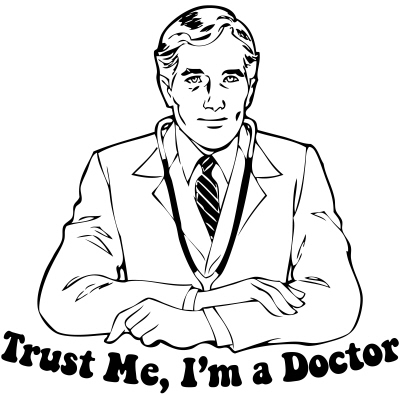 Aspies are creatures of truth and typically, doctors are reluctant to give more information than is needed. If, on a visit, the doctor tells your Aspie, “I suspect this is the case.” Your Aspie will research the condition, symptoms, treatment options, possible medications, best places for such treatment, exceptions to the symptoms, conditions with similar symptoms and any alternative treatment alternatives. 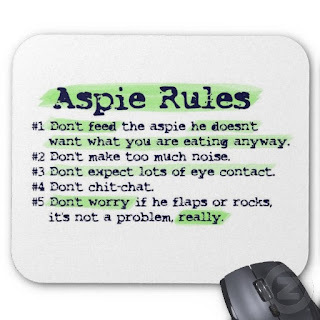 This can be offputting to the medical professional, especially if they are not familiar with the Aspie mind. They will be, sometimes unconsciously, offended by a patient telling them all about that which they have dedicated their lives to. As a result, the health care professional will often, most of the time very subtly, change their behaviors because they are trying not to slap the offending Aspie. (This is a state of being we often inspire in others) Your Aspie will pick up on this… we are, after all, pattern seeking machines. The change in doctor behavior will strike a wrong note in the already discordant experience of a doctor’s visit. Further, your Aspie, due to his research, may present treatment options, exceptions or alternative diagnoses that your doctor did not consider or was unaware of. Medicine is an eternaly evolving field, and without CONSTANT study, it is difficult for a medical professional to keep up with all the changes. Often, when your Aspie makes a suggestion, the doctor will leave the room. I can assure you that they have hopped on an internet capable computer and verified what has been said. The NT reaction to this situation is often to become upset. For reasons Aspies cannot comprehend, the NT will take this as an attempt to show them up or prove that we know more than they do. These situations lead to the NT being upset. The responses to the changes in NT vocal patterns and nonverbal cues will often upset the Aspie and lead them to believe that the NT doctor is being hostile, which will make your Aspie agitated and difficult to deal with in those situations. Some anxiety disorders can actually convert this unease into paranoia which will lead to your Aspie refusing to accept diagnoses, prescriptions and treatment plans from this specific care provider. There are other complications to doctor’s visits… let’s look at it from the Aspie standpoint. Doctors rarely seem to REALLY know what they are doing. The medical health professional will assure you that they know what they are doing… The issue is that medicine, in spite of its being referred to as the Medical Sciences, is more of an art. With the countless body chemistries in the world, it is hard to say that one medication or treatment plan is ABSOLUTELY the way to go. Expressing that to your average NT will result in panic and doubt, so doctors make it a point to avoid the topic. Since they come from a point of authority, switching up treatment plans for an NT patient is a great deal easier than it is for an Autistic Spectrum individual. As such, your Aspie will get the impression that the doctor is clueless. Doctors operate on a double standard. You will be scheduled for a specific time. If you are more than 10 minutes late, you will lose your appointment. Yet, when you get there, you are often required to wait for hours. Your Aspie, with a few notable exceptions, has an over-developed sense of fairness and this will be upsetting to your Aspie. Doctors lie. Partially, this has to do with the aforementioned process of locating the proper medications or treatment plan. Mostly it has to do with the little lies that are told in an effort to facilitate treatment. Statements like, “This won’t hurt a bit,” “You’re going to feel a slight pinch,” “I’ll be back in just a minute,” and “You will feel a slight pressure,” are upsetting when they precede pain, exceptional discomfort or a 25 minute wait. Your Aspie will feel betrayed by this behavior. Doctors assume that they know best. They DO know what to do… But their approach of “do what I say” doesn’t work with most Aspies. Most doctors don’t listen. Aspies tend to be very aware of issues dealing with their own bodies. They may not be terribly emotionally aware, but their bodies are what they carry around with them all the time. 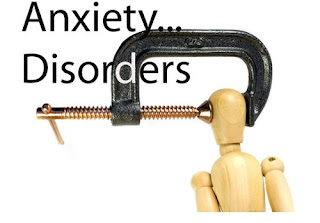 Doctors will dismiss certain symptoms and pains as psychosomatic when they are real issues. When dealing with mental and emotional issues, mental health professionals will doubt certain aspects of what the Aspie tells them. They believe that either a) the Aspie is looking for attention or specific meds which the Mental Heath Care provider are sure they don’t need b) that the Aspie cannot possibly think or believe what they do or c) that the Aspie is not capable of the thoughts, actions or feelings they are experiencing. When the Aspie is told this, they take it personally. We spend our entire lives with people not believing us, assuming that we are exaggerating or worse, lying. I can tell you, Aspies take very badly to being considered liars. Most doctors don’t know important things about Aspies. We are sensitive to medications – anything with a behavioral element will often be overblown due to the disorder. When we have side effects… we have them to the fullest extent possible. Any medication that changes the equilibrium of he body (i.e. all of them) will cause anxiety and uncertainty. When the equilibrium of your Aspie’s body is thrown off, they will NOT like the effect (at least at first) even if it is beneficial. We seek to understand. While an NT will accept a procedure, medication or treatment plan without question, if it is not explained to the Aspie… and I mean really explained… the treatment, the reasons and the mechanisms… The Aspie will assume that there is something that is being hidden from them – which will lead to your Aspie becoming stubborn and even oppositional. So, the best plan of action is to search for a doctor. It takes time and patience… but you have to find the RIGHT doctor. While setting up the initial appointment, it is best to mention that you are setting up an appointment for a special needs adult, someone that needs special attention. Often, it may be best to search out a doctor that specializes in Autism Spectrum individuals. 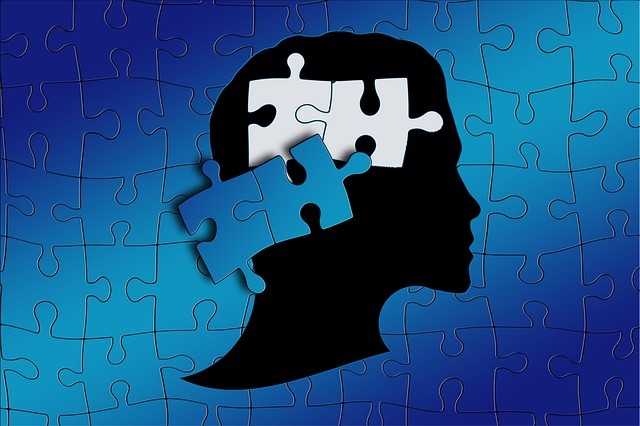 There are very few of them, but they ARE out there… a general practitioner that deals regularly with Autistic Spectrum individuals will have a grasp of what it is to deal with the trials and tribulations of treating your Aspie. It may be a trial in and of itself to FIND the right doctor for this… but it will make medical treatment FAR easier for you in the future.